Graeme Caughley was born on 28 September 1937 at Wanganui, New Zealand, into an educated, professional family. He was the second of three children, and the only son, of John Norman Caughley and Thelma Caughley (nee Keltie). His father was a Branch Manager of the Bank of New Zealand, in Wanganui until 1945, then in Palmerston North until 1955 and then at Eltham. He was also a good mathematician. His mother encouraged Graeme’s curiosity and his father took him off on expeditions. His paternal grandfather, James Caughley, migrated from Ireland at the turn of the century and was Headmaster of Takapau Primary School, Hawkes Bay from 1903 to 1936. He enjoyed children, loved teaching and had a wicked sense of humour, so that he had the ability to get fun out of the children, not to laugh at them but with them. As a boy Graeme knew his grandfather well and may have got his own dry sense of humour from him. Graeme’s father was the eldest of four. The second son, James, was a psychologist with the British Army during the Second World War, and subsequently became Chief Psychologist in the Justice Department, Wellington. Graeme saw a lot of him while at university; they had dinner once a week and he was a mentor to Graeme. One of Graeme’s two aunts, Nancy Caughley, taught Speech Therapy at the Christchurch Training College and was later a lecturer at the University of Tasmania, Hobart. On his mother’s side his grandfather, Hugh Keltie, was a watchmaker from Tasmania. He settled at Greytown in the Wairarapa, where he eventually had three shops. Graeme’s grandmother died young and his mother was brought up by a stepmother, whom she did not like, so Graeme had little contact with his grandfather as he grew up. He had not heard of fossils and he was not happy with enigmas. He stood on solid ground, high up, far from the sea, holding a sea shell in his hands and trying to reconcile those things. The commonplace explanations would not fit and he abandoned them shortly to explore alternatives at first peculiar and then bizarre. Finally he isolated from the rest the only one that satisfied all the data: the sea once covered this hill. Excited, he picked his way down to the flat and ran across the paddocks to the house. His grandfather was a kindly man but he would not humour even a child to that extent. â€œNonsenseâ€, he said firmly and then laughed to signal that he was not annoyed, that it was only a small thing. He did not forget that shell and he was surprised to discover a few years later that he had been right, not quite in the way he had envisaged, but near enough. Graeme had an unusual breadth of knowledge. At the age of 12, when at Palmerston North Boys High School, he challenged Crosbie Morrison, then a well-known radio broadcaster on natural history, on a question of classification of moths. Graeme thought Morrison was incorrect and, with his best friend, Martin Hyde, did a year’s study on the matter and was able to refute him. Later, in about 1953, he was in the New Zealand national team for ‘Quiz Kids’ with Jonathan Hunt. Graeme enrolled for a BSc at Victoria University College, Wellington, in 1956, where he had to support himself financially. In his first year he had free lodging at the Miramar Fire Station in exchange for being on call as a volunteer fireman living on the premises. Of this time he told an amusing episode against himself. Overwhelmed by urgency and excitement at his first fire, he charged into the burning house and amidst blinding, eye-watering smoke and flames found a person to rescue. That this man fought him off violently he put down to panic. After an epic struggle he got his victim across his shoulders in the approved fireman’s lift and made for the exit. Bystanders were delighted when the diminutive Caughley shot out of the smoke with another fireman twice his size on his back. There is no record of any particular lecturers influencing his thinking and the only comment on his experience at university is that he was marked down for using regression analysis on results from a physiology project. He joined Thane Riney in the New Zealand Forest Service in 1956 and continued his degree studies part-time, completing his degree at the end of 1959. During the summer of 1958-59, Graeme went to Antarctica as a biologist with the New Zealand Antarctic Division, based at Scott Base. He worked on the Adelie penguin colonies around Ross I. and Beaufort I. and the Emperor penguin colony at Cape Crozier, publishing substantial papers on both species, as well as notes on skuas and seals. He obtained his BSc degree from the University of New Zealand (of which Victoria University College was at that time a part) in May 1960 and an MSc from the School of Biological Sciences, University of Sydney in April 1963. His topic was the comparative ecology of Red and Eastern Gray Kangaroos (Macropus rufus and M. giganteus) on the CSIRO sheep station, ‘Gilruth Plains’, near Charleville. His supervisors were Harry Frith, Chief of the CSIRO Division of Wildlife Research and Charles Birch. Let me describe myself to allow you, the reader, to gauge my motives and my view of the world. Confessions are not the best source of truth but they give clues, even if one must read between the lines. Socially I am inept. I go to considerable lengths to avoid meeting new people. I find it a strain. Charming I am not. Politically I am uncommitted. I am good at research, not as good as I would like to be but somewhat better than average. Research is not quite the activity that most people think. It is a blood sport in which the opponents are other researchers. It must be the cleanest sport in the book because the ground rules, agreed to by the great majority of participants, ensure that in the long run the best win. Even in the short run not too many injustices occur. The ultimate high in research is not the discovery of a new fact ‘ that you do almost once a week ‘ but in writing a scientific publication that changes thinking. If you are good you might achieve that with every tenth paper. But when you do it you know that you have done it, even before anyone reads it, and then you sit back and say to yourself â€œtry to shoot that one down, you bastardsâ€. When congratulated for the incredible insight displayed by â€œyour bookâ€ the correct response is â€œwhich bookâ€; or if you lobbed this mortar shell in the form of a paper you can practise â€œOh, that old thingâ€ or â€œActually, I am not quite certain that I got it exactly rightâ€. Research is a very serious business, it is the cutting edge of science, but it is also great fun. You also need to know something about my attitude to killing animals. Take the extreme case, the killing of a large whale by means of an explosive harpoon. It is not pretty, and I think I would like myself better were I to view it as an aesthetic and moral outrage, but I do not. It is not important that you agree or disagree with this viewpoint. The importance lies in your realising that this is the way I am and in interpreting what I write in the light of that knowledge. I have no strong feeling for individual wild animals although paradoxically I cried when the family cat was run over. However, I get very emotional about the suggestion that a population of wild animals should be exterminated. Hence I am a conservationist but not an animal-liberationist. If he has any irksome qualities they are a tendency to exaggerate for effect, to be a bit of a know all and to always be right. It is a sort of game playing in which points are being scored. In other words, you do not always get a frank and open discussion with him if something he values is at stake, and he does have some very definite points of view and objectives. This does not basically make him a difficult person to work with. It does mean that on some issues one learns to take him with a grain of salt. On completing his PhD, Graeme undertook a series of consultancies in 1968-69 to Nepal, Kenya, the Pamirs and Afghanistan as a wildlife biologist for the Food and Agriculture Organisation of the United Nations (FAO). At the conclusion of the consultancies, he was awarded a Queen Elizabeth II Fellowship at the University of Sydney, and spent the next two years developing his theoretical approach to wildlife ecology before going to Zambia to complete an FAO project on elephants in the Luangwa Valley. The aim of the project was multiple use for the Luangwa Valley ‘ conservation, subsistence harvesting in wildlife management zones, agriculture and tourism. The Caughleys worked and lived entirely within the national park in the centre of the Valley for the whole of their stay. Here Graeme refined his analyses of aerial surveys and developed his ideas on the long-term interactions between elephants and the trees that provide them with food and shelter. Early in 1973, the Caughleys returned to Australia and he took up an appointment as Lecturer in Ecology in the School of Biological Sciences at the University of Sydney. There he met Robert May [external link] (who later became Sir Robert, Baron May of Oxford), then at the University of Sydney and was attracted by May’s ideas on stable limit cycles, which Graeme developed in the elephant-plant system. In 1977, the book Analysis of Vertebrate Populations was published by Wiley and established Graeme as the leading ungulate ecologist and one of the top five vertebrate ecologists in the world. It was awarded ‘Book of the Year’ by the American Wildlife Society and was translated into Russian. It is still the primary reference in the discipline and is still widely consulted. Graeme was appointed Senior Principal Research Scientist in the Division of Wildlife Research in September 1979 to head a program on kangaroo ecology. He further developed the aerial survey techniques begun at the University of Sydney and the statistical methods that made it possible to make regular estimates of the numbers of free-ranging kangaroos across the vast areas of Australia, their movements, and the distribution of other large animals. In 1983, he and Charles Krebs explored the importance of body size in mammalian ecology and in contrast to previous ecologists, concluded that different rules apply for mammals weighing more than 30 kg and the plants they eat compared to smaller mammals and their food. His major project in CSIRO was a collaborative one with the New South Wales National Parks and Wildlife Service, begun under the leadership of Neil Shepherd in 1977, to examine the relationship between high kangaroo densities and vegetation in an arid-zone national park (Kinchega National Park). It involved some 400 student volunteers and at the time was the largest and most comprehensive study of a complex plant-herbivore ecosystem ever attempted. The study resulted in nine theses (2 PhDs, 1 MVSc, 2 MSc theses and 4 Honours), 31 papers and the monograph Kangaroos: Their Ecology and Management in the Sheep Rangelands of Australia published by Cambridge University Press with Caughley as senior editor. In 1983, he wrote an unusual book, The Deer Wars: The Story of Deer in New Zealand, published by Heinemann. While the book is about deer in New Zealand, it has lessons for the management of wildlife everywhere. It aroused some controversy in New Zealand, especially from forestry people who felt the bite in his criticisms of the research and management of wild deer. However, biologists, conservationists and those interested in land use in New Zealand applauded the book and its influence was profound. Around 1986 or 1987, Graeme began a project on Quaternary faunal extinctions, climate change and the dispersal of people and produced results that were at variance with the anthropological paradigm current at that time. It resulted in two papers, one on the ethnography and archaeology in New Zealand that demanded a new appraisal of the time of arrival and the pattern of spread of the Maori people through New Zealand; the other described the history of the New Zealand biota over the last 7 000 years. Regrettably, the rest of the project, addressing the interactions of people and megafauna in Australia, was not completed by the time of his death. Graeme Caughley continued to undertake many overseas consultancies. In 1988-90, he went to Tanzania, China, Kenya, Nepal, Canada, Greenland and Zimbabwe. 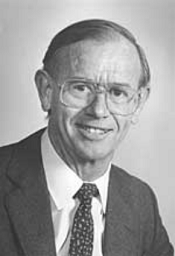 In 1989, he was appointed to the Resource Assessment Commission, set up by Act of Parliament to advise the Australian Prime Minister on resource matters. The Forests and Forest Industries Inquiry was instituted in November 1989 and was charged with describing the forests of Australia, the adequacy of their conservation, the timber and timber products industries of Australia, and any conflict between them. Ideologies can be applauded or ridiculed but they cannot be invalidated unless they are converted to hypotheses. Then there can be reasoned scholarly debate. It is precisely to avoid that possibility that ideologies are always framed in abstract termsâ€¦ We must not change reality to fit ideology. In 1991, he took on another public task as Chair of the Review of Australian Research Council Funding in the field of Ecology. In the last years of his life, Graeme turned his attention more to conservation issues and the management of declining populations. In 1990, he began a project to test experimentally the effect of various stressors on the viability of small populations as well as beginning to gather material for a re-examination of the theoretical bases of conservation biology and the factors determining population viability. the same month he learned that he had terminal cancer and could not expect to live long. He set himself the goal of seeing the review through the press and, if time allowed, writing a book on conservation biology. With characteristic vigour and courage he saw the review published and he completed a book already begun with Tony Sinclair entitled Wildlife Management and Ecology, published by Blackwells in 1994. In the months between April and December, with his partner, Anne Gunn, he wrote most of an entirely new book, which even drew critically on papers published in 1993. The major portion of the book, entitled Conservation Biology in Theory and Practice, was completed at the time of Graeme’s death at his home in Canberra on 16 February 1994. Anne Gunn completed the book during the next nine months and it was published by Blackwells in 1996. The book was considered an astonishing achievement, as it provided conservation biology with a strong theoretical underpinning, along with a wealth of examples and practical solutions for the particular problems faced by species in decline. It is destined to be the handbook of first resort in conservation biology for years to come. After his untimely death at the peak of his intellectual powers, there was a move to create some fitting memorial to Graeme Caughley. The Graeme Caughley Travelling Fellowship was established through the joint auspices of the Australasian Wildlife Management Society, the CSIRO Division of Wildlife and Ecology and the Australian Academy of Science. Its purpose is to encourage exchange of ideas and knowledge about wildlife management, by travel grants to enable Australian and New Zealand ecologists to visit colleagues in other countries. The formative mythology of the New Zealanders is not easily dissected, and perhaps it should not be attempted because to dissect is to destroy. But some elements can be displayed without trauma: water on fern, breaking out of forest onto snow grass, a fist in the scrum, the lobbed shot that comes off, the flooded river that must be crossed, the piton that gives just a little, â€œand the antlers in the hall, sings Harryâ€. A full account of the life and achievements of Graeme Caughley can be found by following the link in the Source details below.